Lisa Ayoub-Lumaban holds a Bachelor of Music degree from the renowned Berklee College Of Music School in Boston, Massachusetts. While at Berklee College of Music, her major was in songwriting. She has also studied music with some of the finest jazz instructors in the world. Lisa has over 25 years of teaching experience with students ranging from kindergarten age to retired seniors. She has taught a diversity of styles from classical to ragtime to jazz improvisation. Lisa is a member of the Music Teachers National Association. 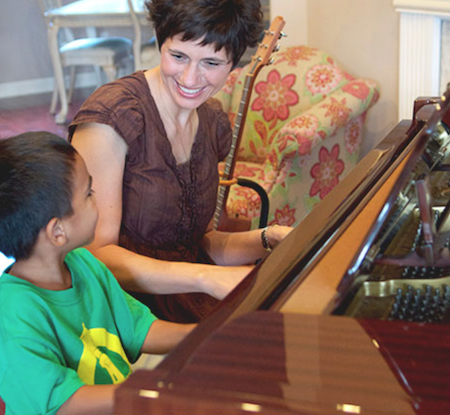 Jupiter Piano Lessons provides tailored lessons to students of all ages - young and old. Former students have gone on to prestigious schools such as Bak Middle School of the Arts and Dreyfoos School of the Arts. Parent participation in children's lessons is strongly encouraged. The studio is located in the quiet confines of Lisa's home. Lessons are provided from a Yamaha grand piano. The studio is equipped with recording equipment and students have available to them immediate feedback on their performances. Audio files of the recordings are available upon request. 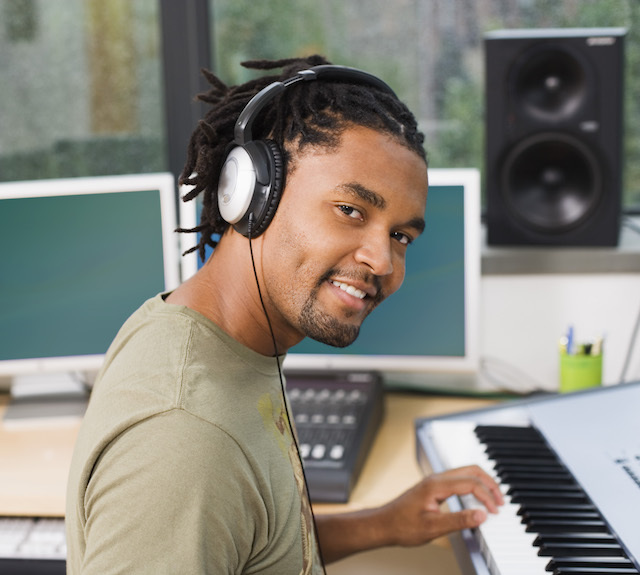 Jupiter Piano Lessons believes that making music fun and enjoyable is the secret behind a successful music education. The development of personal creativity is what distinguishes us from most piano curricula that is available today. Musical creativity is honed and developed in each of our students. Most teachers would shy away from improvisation. But we can teach even a young student to compose an original melody! All students are well grounded in the fundamentals of music theory. Mastery of scales, chords, music reading and basic classical repertoire are emphasized in the beginning. Students are then slowly introduced to the worlds of jazz improvisation and/or songwriting. Advanced students work on more complicated pieces from a variety of musical genres. We tailor the curriculum to each student's individual needs. The first lesson is FREE and is considered to be an evaluation lesson. Lessons are paid per month, and there are no registration fees! A monthly commitment is encouraged. Each student is assigned a weekly timeslot on a first come, first serve basis. Credits are given for missed lessons if 24-hour notification is given. My son, Nathan was six and my daughter, Noél was 10 when they started piano lessons with Lisa. She had just moved next door when she offered to teach them. Neither child had ever attempted to play instruments so this was a new experience. To my surprise, both of my children took to it quite well. From day one Lisa was very hands on, motivated, and excited to teach. Her passion for piano was evident; she shared this passion by teaching others. My kids thrived under her instruction. They not only learned how to play beautiful songs, but also they began to understand the intricacies of piano. 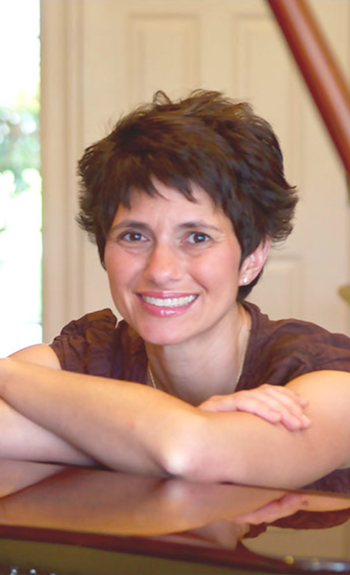 When lessons seemed hard, Lisa encouraged my kids to "keep plugging away." Despite my son's monkey bar accident that resulted in a broken right wrist, Lisa never gave up on him. He continued played (left-handed), which actually resulted in his improvement. She created fun games and healthy competitions so the kids could learn to sight read and play pieces faster and more precise. The end of the year recitals were always a big hit for the students and their families. They fostered a sense of achievement; everyone was proud of what he or she accomplished with Lisa's instruction. I'm so thankful Lisa moved in next door. Because of her, my kids were able to develop a true appreciation and love for the art of music. I decided that I wanted to commence piano study at a time in my life when I could thoroughly enjoy the process of learning a new set of skills and at the same time be involved in the intellectual challenge that I presumed music presented. I conferred with two professionals who are knowledgeable about piano instructors in my area. Lisa’s name was mentioned by both people with whom I spoke. I am delighted to write that their recommendations were unquestionably correct. Lisa is a terrific teacher. She is professional, creative, patient and courteous. But at the same time, is a teacher that not only instills in her student a deep desire to excel, but gently encourages her student to achieve greater proficiency than the student may imagine possible. In short she is inspirational without being demanding. Lisa’s ability to provide the motivation and enjoyment is further enhanced by her fine piano playing. I have thoroughly enjoyed my piano lessons and to my astonishment look forward to practicing in anticipation of getting better. I highly recommend Lisa Ayoub-Lumaban as a wonderful piano instructor. My daughter Olivia has been taking piano lessons from Lisa since she was six years old. She is now twelve and is still enjoying her lessons from Lisa. Lisa makes the lessons fun….she is very patient and knows how to keep my daughter interested and entertained. She is a great teacher! I am constantly impressed by how my daughter has learned and improved. Lisa is our children's first introduction to formal music classes. It is a terrific fit for all 3 children (8, 10 & 13). I like that they are able to take the class together even as their skills develop at different paces. Lisa knows how to work with each of them individually. Our favorite part of class each week is creating music right alongside Lisa through jazz and blues improvisation!! When my daughter was only in kindergarten Lisa began teaching her piano. She is so wonderful with young children, making it fun for the kids to learn. She even made a game for her to play to learn how to read music. My daughter continued piano lessons with Lisa through 7th grade. Lisa taught her not only the basics, but also blues, and songwriting. It was so nice to have the variety! Lisa prepared my daughter for her Bak Middle School of the Arts piano audition. It was fantastic preparation, because my daughter made it into Bak MSOA and enjoyed three great years in that school’s piano department. Lisa was my daughters first music teacher and she truly inspired her because she remains in music today attending Dreyfoos School of the Arts, in the music department. Lisa is energetic, creative and just plain wonderful. I am so grateful that we found her to enrich our family. She truly cares about her students.